When Hurricane Harvey first hit Texas late on August 25, it brought powerful winds, record rainfall and devastating flooding. Many communities were underwater. Houston was particularly hard hit, registering two of the five heaviest rainfall days as the storm stalled over south Texas, according to The Weather Channel. For ABC13 KTRK-TV in Houston, that triggered a response of 10 digital producers working around the clock to keep the public updated and informed. “The entire staff of ABC13 was at the station for days – not at home with their families, not knowing the condition of their own homes, which in some cases were damaged or totally destroyed,” said Rachel Schwartz, manager of Digital Creative Content at Disney ABC Television Group. To help meet the desperate needs of its viewers, Schwartz and ABC13 Digital Managing Editor Brittany Guarglia turned to ScribbleLive, a trusted and time-tested partner and the world’s leading content experience platform. 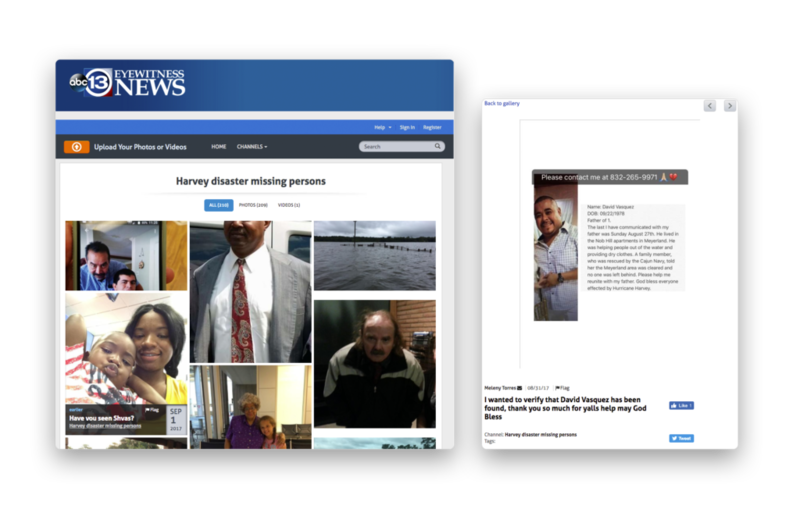 ScribbleLive’s Community Content, formerly known as Cell Journalist, gave ABC13’s viewers an easy way to submit their photos and videos and gave Guarglia and her team an important opportunity to help their community in distress. Guarglia explained that Community Content gave her team the ability to keep viewers informed even when the ABC13 staff could not physically reach some of the hardest hit areas. “We literally could not get to some of the most impacted places, so people who were taking photos and videos and sending them to us were our eyes and ears on the ground, alerting us to places we needed to be,” she said. Community Content was particularly valuable when Guarglia and Schwartz wanted to give the community badly needed information on missing persons. “We created a landing page and asked viewers to submit photos of their friends or loved ones that they couldn’t find or get in touch with,” Guarglia said. “That was our way to curate all the missing people. It was very easy for viewers to submit their photos, and then if someone was found they could comment underneath. The page was such an important community service that it was visited more than 40,000 times, particularly early on when information was hard to come by. Schwartz said the missing persons page helped the ABC13 staff go a step beyond the typical journalist’s role as an observer. “They wanted to help, and this is one of the ways they were able to do that,” she said. Because of its clear value to the community, the missing persons page was heavily promoted. Guarglia said Community Content was the ideal choice when her team was planning ABC13’s coverage of this historic event. Moving forward, Schwartz will be looking for creative ways to enhance the use of ScribbleLive to serve viewers even better. “One of the things we like about ScribbleLive is the full suite of product offerings,” she said, adding that the platform is just as valuable for major weather and breaking news as it is during the Oscars. “Whether it’s Community Content to help access and curate user-generated content, ScribbleLive Engage to run live blogs when there is a presidential debate or when we’re watching celebrities walk down the red carpet, there are constant applications for us,” Schwartz explained. Rachel Schwartz is the Manager of Digital Creative Content for the ABC Owned Television Stations. 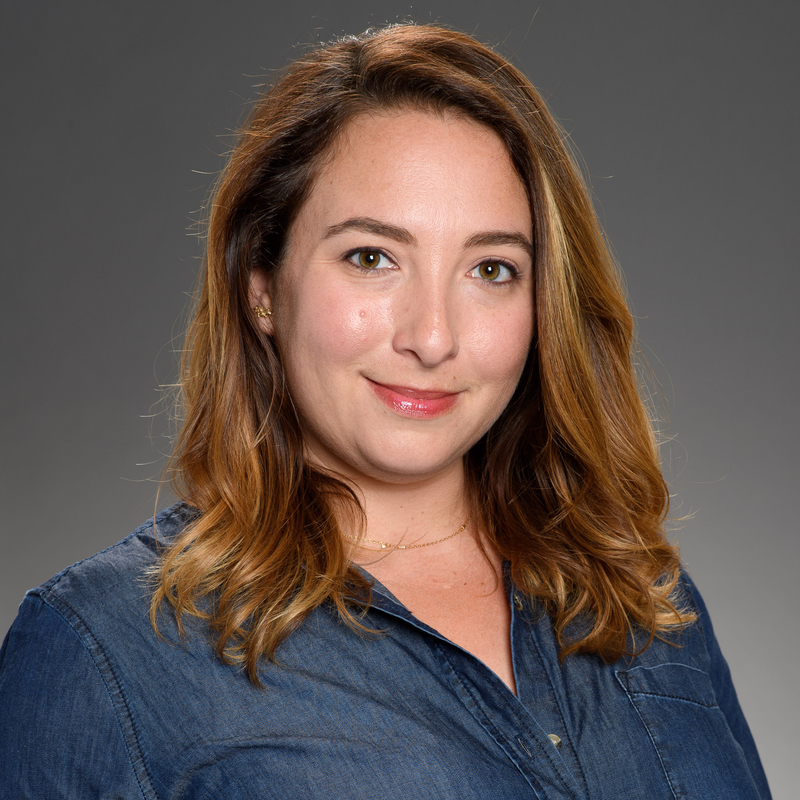 Her team takes a digital-first, video-centric approach to editorial coverage for major tentpole events ranging from national elections, to the Oscars, to breaking news like Hurricane Harvey, the Las Vegas shooting and the recent wildfires in Northern California. 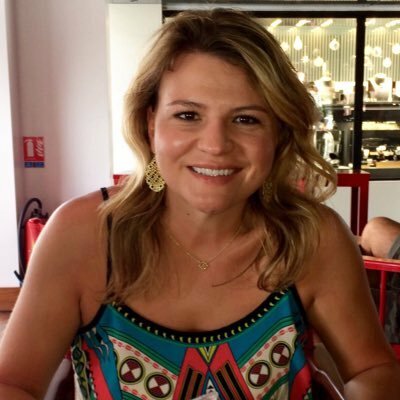 Brittany Guarglia is the Digital Managing Editor at ABC13 in Houston, Texas. She is back for her second stint at the station after leading the digital team at FOX25 in Boston. Britt was a special projects producer in Houston the first time around, and worked at another Disney-owned ABC station, WTVD in Raleigh/Durham, prior to that.